OSWEGO, NY – Want to learn how to slice your grocery bill and save money on virtually every aspect of your family budget? If you’re one of the winning bidders at Oswego Community Christian School’s silent and live auction you will be able to do just that. Lauren Greutman (left), couponing and money saving expert from WSYR Channel 9’s Bridge Street program, and owner of the website: www.iamthatlady.com, meets with Principal of Oswego Community Christian School, Debra Greutman to discuss her donation of three one-hour personal consultations and a $50 gift card to a local grocer to Oswego Community Christian School’s auction. Lauren Greutman, who has shared her knowledge of couponing and money saving ideas with families at seminars throughout New York State, and serves as the money saving expert on WSYR Channel 9’s Bridge Street program, has donated three personal consultations that will be up for bid at Oswego Christian Community School’s fifth Annual Auction. To be held April 28 at the Oswego Armory, West First Street, from 1 to 4 p.m., the event, which serves as the school’s largest fundraiser, will feature both a silent auction and a live auction. Greutman’s website: www.iamthatlady.com has been visited by thousands of people looking to save money on their grocery and retail purchases. The access free website offers information on money saving deals and easy access to coupons. While the couponing aspect of the site is perhaps the most popular attraction, according to Greutman, the site offers much more. According to Greutman her journey into the realm of couponing and smart budgeting came out of necessity. Additionally, Greutman, who was recently diagnosed as gluten intolerant, is working on establishing a new website: www.glutenfreecouponing.com to assist others who require a gluten free diet and is looking to launch the new site this May. She is also in the process of setting dates for money saving seminars in the Oswego area. 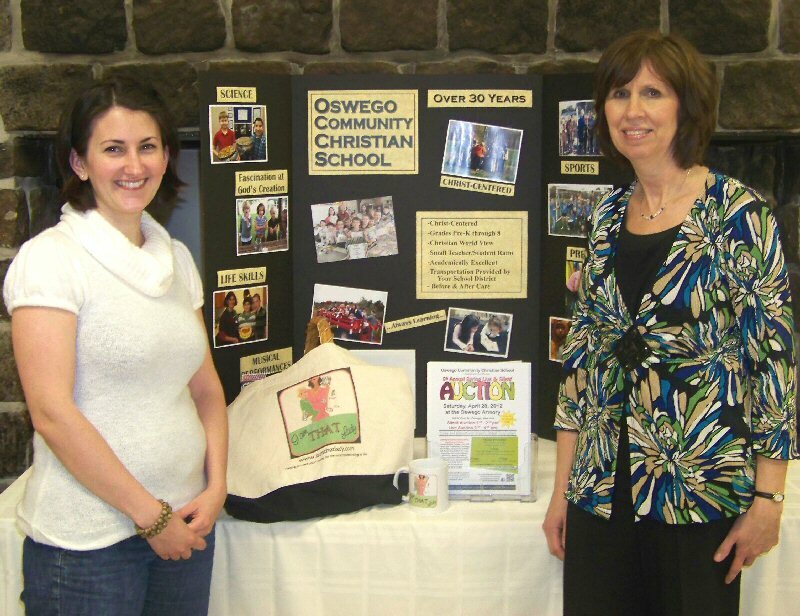 For the Oswego County Christian School’s auction Greutman donated three one-hour personal consultations that will be up for bid as well as a $50 gift card to local grocer. Greutman will meet with the winning bidders at a location of their choice to discuss areas of their budget that they would like to address and show them how to successfully achieve the changes they are looking for. “I’m looking forward to helping the winning bidders meet their budgetary goals. Whether it’s cutting their grocery bill by planning meals and incorporating couponing or finding the best deals on their retail purchases, I will give them a hands-on demonstration and show them how to get it done,” said Greutman. The Oswego Community Christian School auction will feature a silent auction from 1 – 2:30 p.m. followed by a live auction, featuring auctioneer Jim Deacons, from 2:30 – 4 p.m. The event will also include Oswego Community Christian School’s annual prize drawing. For a donation of $10 individuals will have the opportunity to win one of three great prizes including a grand prize of either a five-night Disney World vacation for a family of four or a $1,000 VISA Gift Card, winner’s choice; a second prize of an Apple iPad 2; and a third prize of either a $250 gas or grocery card, winner’s choice. Established in 1979, Oswego Community Christian School offers families a Christian educational alternative that excels in teaching, training and the spiritual development of their children. Using the latest technology for both the students and the teachers, Oswego Community Christian School blends classic education with modern methodology in a caring, disciplined, Christian environment. The student population of the school represents nearly 20 area churches and ministries and its hundreds of successful graduates are testimonials to the school’s commitment to the community and its high standards of education and character development. For more information on Oswego Community Christian School’s auction or to donate an item, contact the school at 315-342-9322 or Sue Bakos at 315-342-6939.